$ 650 ea. - #7829 Mirage Arm stool in standard finish & Vinyl as shown. 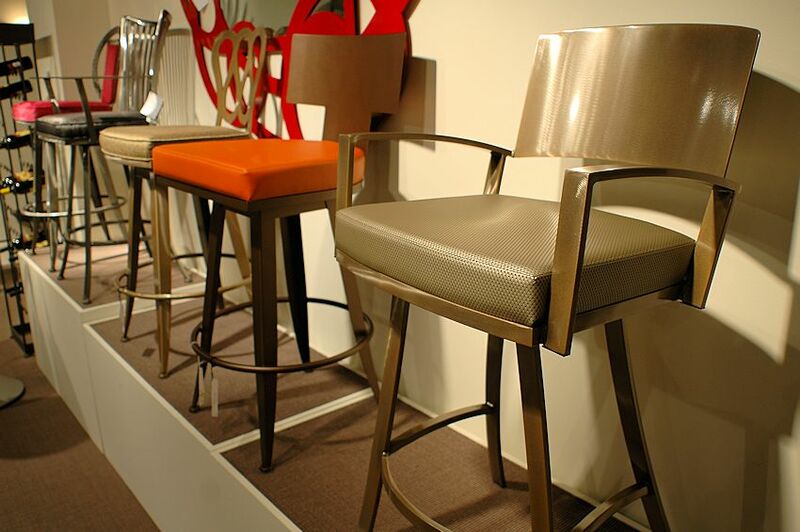 finishes, and your choice of suede, leather or designer fabrics. #11 | $ 550 ea. - #8529-26 or #8529-30 stool in Bronze finish and vinyl. #12 | $ 650 ea. 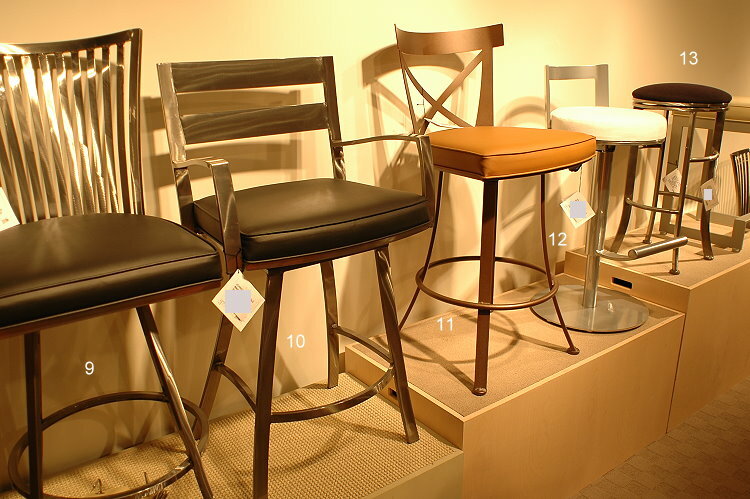 - #2029 adjustable bar stool in Chrome finish and micro-suede. #13 | $ 550 ea. - #2529-26 or #2529-30 stool in Pewter premium finish and Black micro-suede. Custom made in North Carolina. Available in many designer colors and fabrics. $ 895 ea. 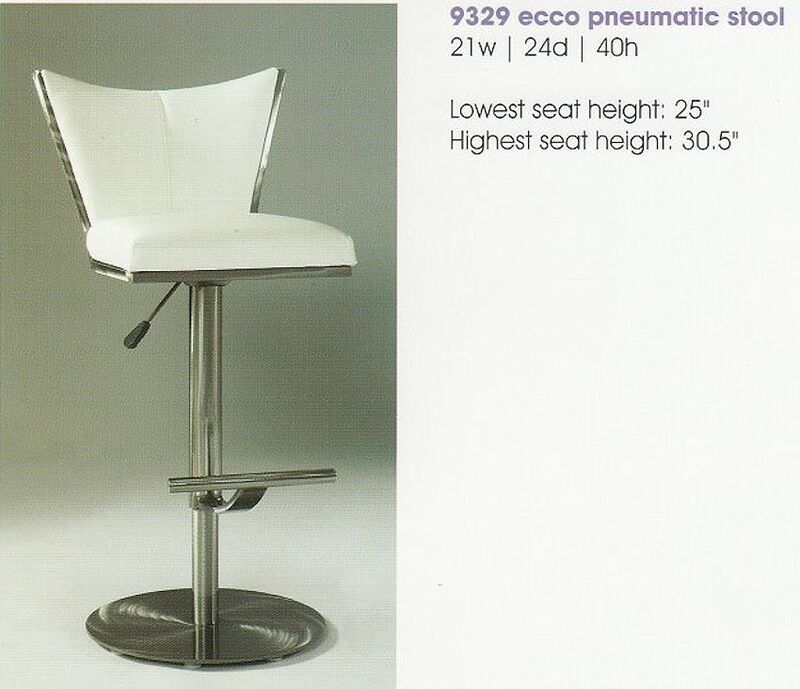 - Ecco adjustable bar stool in Pewter premium finish & fabric, vinyl or micro-suede. See metal samples. Request info. $ 795 ea. - Ecco adjustable bar stools in Black standard metal finish & fabric, vinyl or micro-suede. 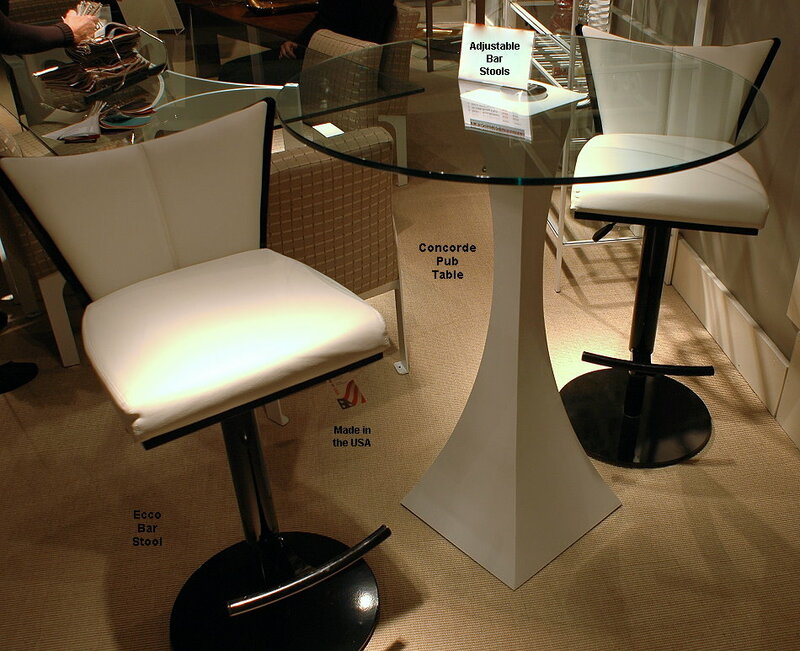 Concorde Pub table has been discontinued. Made in the USA. Request info.